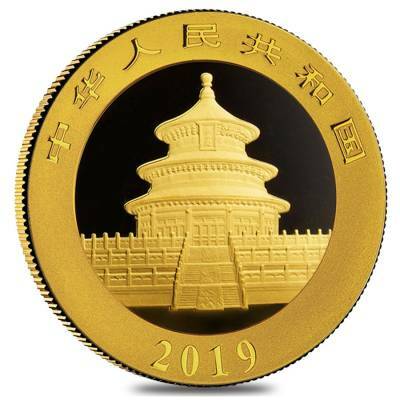 This remarkable 2019 8 gram Chinese Gold Panda 100 Yuan Coin is the latest release in the renowned Gold Panda coin series from the internationally praised Chinese Mint. Introduced by the People’s Bank of China in 1982, the famous Chinese Gold Panda series was minted from 99.9% pure gold. The mint first produced these coins in four sizes of 1, ½, ¼, and 1/10 oz., and later added the 1/20, 5, and 12 oz. weights. 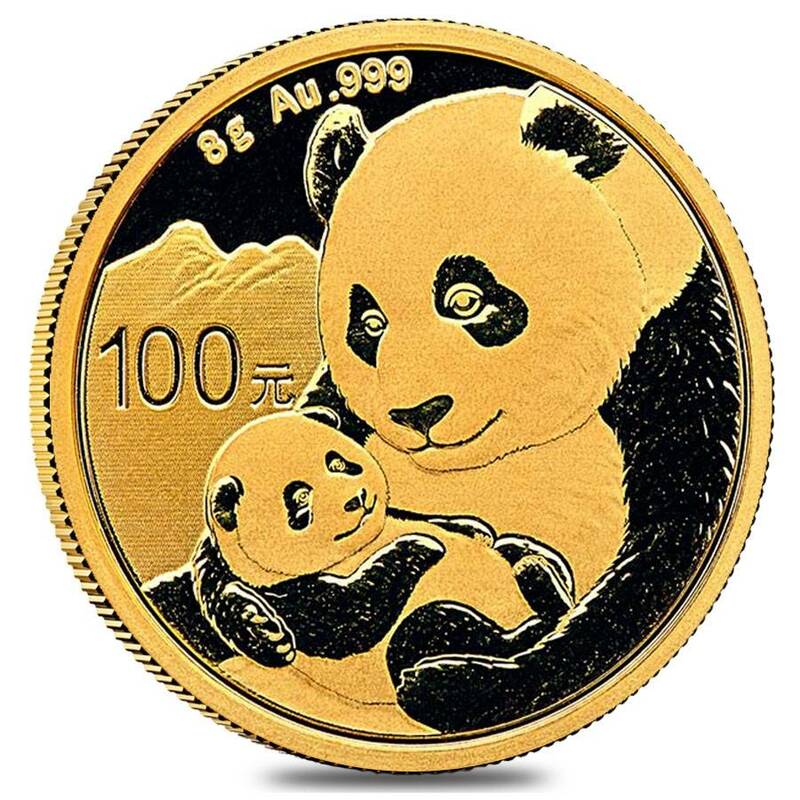 These fantastic coins are famous all over the world due to their yearly changing reverse image that each time showcases a new design of the cute panda bear. Yet, in 2016, the mint changed the weight of these coins to grams, producing 1, 3, 8, 15, and 30-gram bullion coins and 50, 100, 150 grams and 1-kilo proof coins. Made from .999 fine gold with a weight of 8 grams. Struck by the prestigious Chinese Mint. Produced in Brilliant Uncirculated Condition. Bears a 100 Yuan denomination. Chinese legal tender backed by the People’s Bank of China. At Bullion Exchanges, you will find a spectacular array of outstanding gold bullion coins. Add this astonishing 2019 8 gram Chinese Gold Panda 100 Yuan Coin to your collection today, and it will be delicately packaged and shipped to your address in no time. If you have any questions, just write or call us at 800.852.6884, and we’ll be happy to assist you. With this purchase, you earn 361 Bullionaire Bucks 361 BB = $0.36. We currently have 152 of this item in stock. For every $1 spend, you will earn 1 Bullionaire Buck which is equivalent to $0.001 off a future purchase. 361 BB = $0.36.